Congress president Rahul Gandhi guaranteed that his party will implement the minimum basic income for the poor people if they wins the 2019 Lok Sabha elections. “A minimum income guarantee for every poor person is our vision and promise,” he said. 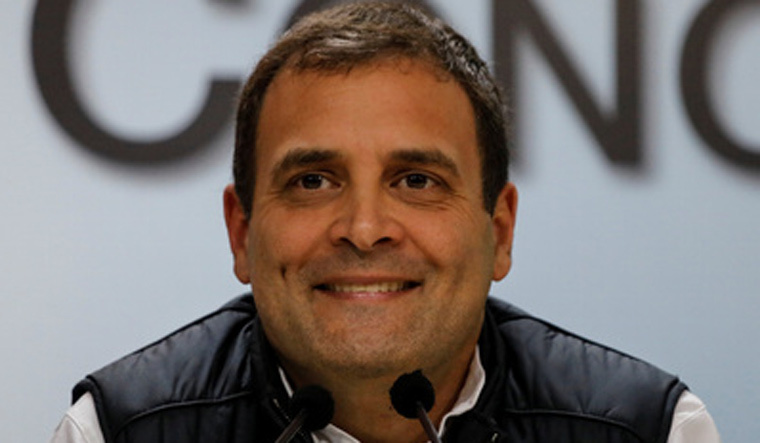 The Congress president’s minimum income guarantee for the poor is a by product of the idea of UBI, which is a model for giving all people in the nation or an with a sum of money. Now, know What is UBI? A fixed sum of income which is provided by the government to the people including the poor, rich ad middle class. In India, in any case, the scheme will be only to individuals from financially weaker section of the country. Poverty line or the evaluated minimum income expected to live life was fixed at Rs 7,620 for every individual/annum, in view of economist Suresh Tendulkar’s formula. The model proposed by the Economic Survey 2016-17 brought up issues as Tendulkar’s poverty line terribly underestimated level of poverty every day among poor Indians. In spite of Rangarajan’s assessment, the Niti Aayog’s Task Force on Elimination of Poverty’ report upheld Tendulkar’s formula, including that Rangarajan’s recipe has not been formally acknowledged. Another contention is that UBI does not concentrate on long term benefits. While very few may know, India as of now has a UBI-like plan, however on an altogether little scale. Under the National Social Assistance Program (NSAP) since 1995, the central government offers benefits to the older, widows and disabled. The Center’s contribution is between Rs 200 and Rs 300.